ep 2 Totally Amazing...It's so Great..Very Fun..Totally Love it ..
HJ telling off JW over the phone. WOW! she spoke so fast and with so much anger lol! The confusing train scene, first he was speaking to HJ in Granda and then it jump to him on the train with an injured foot going to Granda and fighting masked men in the AR world. Was there a time jump? I think not completed yet . 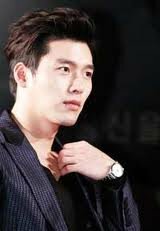 HYUNBIN Oppa HONEY SMILE ...I Love IT ...Can somebody crop it that first part? @DOCDOC Thanks for this interesting theory. It does sound very plausible because there was ""some time jump" in the beginning. The train was supposed to arrive in Granada, however the thunderstorm suddenly appeared and the train was in the countryside again. So the brother disappeared after getting shot, yet the shot in the train window disappear. Moreover, the soundtrack (especially in the train scene) makes me think of Inception, where people can no longer distinguish what is reality and dream. To conclude, it looks like the game is taking over the reality. And I think hyunbin not time jumping..But the story between Hyunbin And shinye NOw is the flash back from hyunbin when he get trap in the train. I want to understand what they talking on cleo interview..who can understand korean.. can please help to translate? This show is making me really confused. I have no idea what is going to happen, which only leaves me the option of keep watching it to find out.